I am so excited to be doing Christmas crafts! My kids are both begging to spend time at the art table, are coming up with their own ideas ( yay!) and I have so many posts waiting to be published. But that is what’s new with me. I want to know what’s new with you and what you have created and shared on your blog. Link up! 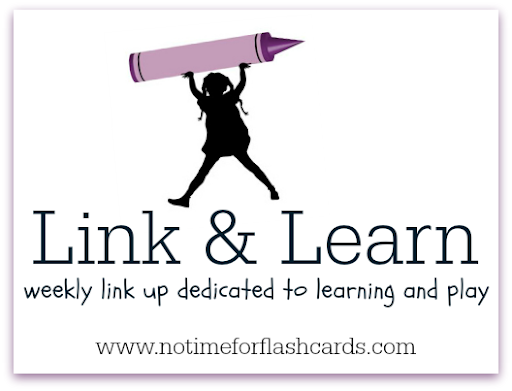 It’s no biggie if you aren’t a blogger – Link & Learn is still for you. Scroll through the ideas below and find a few new blogs to follow and some great Christmas crafts to try.